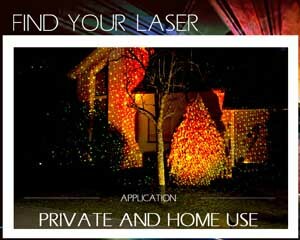 Lasers suitable for private and home use, for parties or just garden illumination: The products shown below are the ones we consider most suitable for these kind of applications. 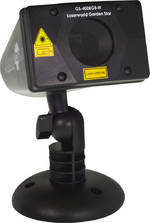 Click on the very product to find out more on technical specifications, price and an option to purchase online. 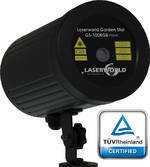 Most Lasers of the Garden Series are waterproof and suitable for outdoor use. They usually do twinkling-star effects (starry sky, star shower) in different colors. The Lasers of the Ecoline Series are an economic, entry level option to show laser lighting. When used at home or at a party, the laser usually does not need to be very strong, so basic lasers are laser effects are often sufficient and provide the desired effects.